Denton’s brides to be must travel no further than their hometown this Saturday, January 23 to find wedding inspiration. 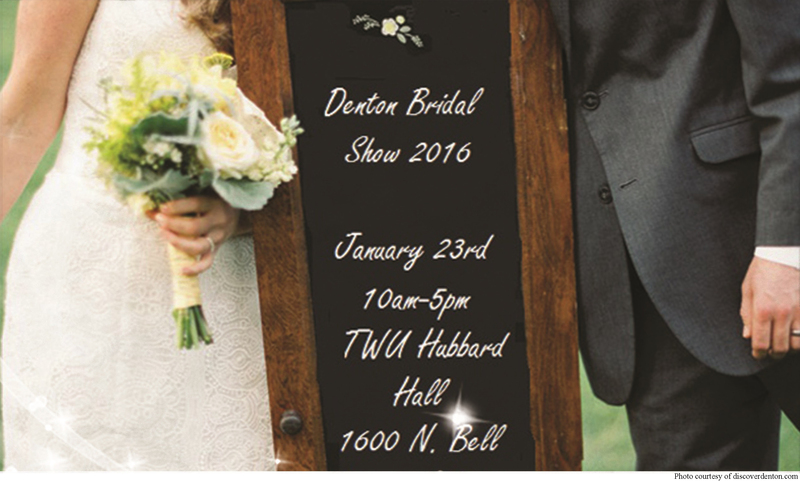 The first ‘I Do’ Denton Bridal Show will take place from 10:00 a.m. to 5:00 p.m. at TWU’s Hubbard Hall. Brides can expect free admittance to the event, a free swag bag for the first 500 brides, over fifty handpicked vendors, a fashion show of dresses for the bride and her bridal party at 1:30 p.m. and many other perks and free giveaways throughout the day. With 2007 being the last year Denton hosted a bridal show and the nearest one for many brides being in Dallas, Moore pitched the idea of Holding the ‘I Do’ Denton Bridal show to the Denton Convention and Visitors Bureau and then they collaborated in the hopes of bringing industry to the area and a bridal show closer to many brides.